Denise is a licensed physical therapist who graduated in 1996 wi﻿﻿th a Masters in P﻿﻿T from Philadelphia College of Pharmacy and Science (now University of the Sciences in Philadelphia). Denise has worked in a variety of settings as a therapist with individuals across the spectrum from ages 9 months to 104 years old. After 4 years working in school districts, she noticed the need for other activities for kids with special needs. Having practiced yoga herself since 1997, she found her way to her first Yoga for the Special Child course with Sonia Sumar in 1999 when she was pregnant with her 1st child. She went on to complete 200 hour Classical Yoga teacher training in 2007 at the Yoga Life Institute in Devon, PA. She became a certified Child Light Yoga teacher in January 2009. She completed 200 hours of Yoga for the Special Child and Integral yoga teacher training in August of 2010. She has over 100 hours of Vedic Thai Yoga training with Michael Buck of the Vedic Conservatory and loves to take continuing education course in yoga and physical therapy. She is a yoga teacher with Yoga Alliance and a member of the International Association of Yoga Therapists. 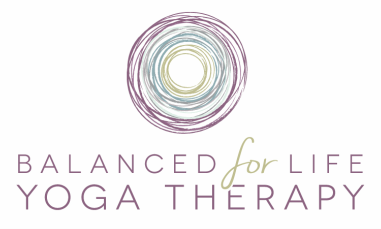 She currently teaches kids, preteen, prenatal, and adult group and private yoga classes and runs her own business, All Kids Yoga and Balanced for Life Yoga Therapy. She provides Vedic Thai yoga body work to a variety of individuals to help eliminate pain and stress and to promote deep relaxation. Denise teaches CPR and First Aid to individuals and groups through the American Red Cross. She integrates all her knowledge of the body through her work as a physical therapist and adapts to the needs of her students- children and adults alike in their yoga practice. Her goal is to have everyone have a better understanding of their own bodies and minds so they can live their best life. ﻿﻿Josette is a licensed physical therapist assistant (PTA) and massage therapist who integrates the practice of mindful breath-work into both her yoga teachings and manually based therapy sessions. Josette obtained her BS in Exercise Physiology from Temple University in 2007. She interned, and ultimately became employed, by The Fighting Back Scholarship Program (FBSP), where she currently still serves as a board member. It was through this experience in which Josette realized that she would like to be able to intervene earlier on in the healing process. She went on to attend Harcum College and upon completion of their PTA program, Josette obtained licensure in 2011. While working at a physical therapy clinic, Josette realized the benefits of physically touching a patient and was led to study under the guidance of John F. Barnes in Myofascial Release (MFR). Josette utilizes MFR as the foundation for her one-on-one therapy sessions. Through juggling work and studies, Josette began to realize the correlation between the conditions under which one places their body and its ability to function optimally. Josette turned to yoga as means of grounding and serenity. Josette completed a yoga teacher training at Ocean Earth Wind Fire in 2013, and is currently an RYT 200 with Yoga Alliance. She believes that by integrating her background in fitness and physical therapy with yogic principles, she is able to create a unique offering of mindfulness for her clients. Josette's personal website provides additional information on the extent of her offerings. ​ of Reiki, she began studying Usui Reiki in 2015 and completed training as a Holy Fire Reiki Master in 2017. Carrie offers reiki sessions and chakra balancing for Balanced For Life Yoga Therapy clients and students. She comes from the belief that each individual has the wisdom and strength within for their own healing and growth. Reiki serves to empower us in our wellness as it helps to more readily access a state of balance, clarity, and calm during life's ups and downs. Even unconscious patterns or self defeating behavior may begin to dissolve through regular reiki sessions. Reiki can support the physical body and is a great tool for stress reduction and relaxation as well as a complement to traditional medicine and other holistic traditions. Daria trained at ContempraDance School and was a member of ContempraYouth Dance Ensemble from age 7-18. She debuted in ContempraDANCE Theatre's "Woman" as the daughter at the age of 4. She performed in Disney World, Ladek Zdroj International Dance Festival in Poland, Schuylkill Valley Dance Company's Nutcracker and Melange Dance Company. Daria trains with Meghan Braun of Waves Dance Company and currently dances with ContempraDANCE Theatre Company as one of their lead dancers. In June 2014, Daria received her yoga teacher training certification for Jivamukti Yoga attending a 300 hour program in Costa Rica training with Sharon Gannon and David Life. She has studied for many years with these yoga teachers as well as many others all around the world. Daria has been teaching yoga all over the area for the past few years teaching children as well as adults. She received her BFA from Temple University receiving the College of Liberal Arts’ Annie Hyman Award for Outstanding Service & Honors Society. Daria presently teaches dance & yoga throughout the Philadelphia area. After graduating from West Virginia University, Sheworked for over 10 years in Customer Relations and Sales positions for companies such as XEROX, TV Guide, and JI Holcomb. Diane was fortunate enough to find her passion–healing through the contemplative tradition of shiatsu and bodywork. Through her years of focused training in this healing art she has maintain a meditation practice that blends eastern Vipassana and yoga with western contemplative prayer practice. Diane's diverse background and training allows her to understand her clients deeply and challenge them to start from where they “Are” not where they “Think” they should be. Diane is able to customize the type of bodywork that is best for you during your visit. She looks forward to joining you where you are at, and helping you take the next steps on your journey with a bit more compassion towards your body, mind and spirit and challenging you to radiate that to everyone you encounter. Mindie is a Vibrational Sound Practitioner and Level 1 Reiki Practitioner who uses traditional Tibetan singing bowls and alchemy crystal bowls on and around your body. The tones and vibrations of the bowls help restore the body on a cellular level, leaving you feeling calm and relaxed. She is a certified kids yoga teacher and is completign her 200 hour Yoga Aliance Teacher Certification. Mindie has been practicing yoga and mindfulness for 20 years. She has been playing the singing bowls since 2015 and became a Certified Vibrational Sound Therapy Practitioner through The Vibrational Sound Association in 2017. Mindie's passion is offering sound healing to those who are going through tough times in their lives and to anyone looking for deep relaxation through sound meditation. Marc brings a passion for self-discovery within group settings to his work as a practitioner and teacher of mindfulness and insight meditation. Marc integrates his formal training with experience as an investor, educator and entrepreneur to support personal development and transformation. Marc has completed a practicum in Mindfulness-Based Stress Management at The Penn Program for Mindfulness and works regularly with his guiding teacher, Sudhir Jonathan Foust. Marc has also received training in Mindful Schools and Mindful Self-Compassion. Marc found his way to contemplative practice after experiencing a family loss. Sleep problems, back pain and chronic stress felt overwhelming. It wasn’t until he was introduced to meditation that he discovered an empowering tool that he seeks to apply to all areas of his life. As a husband and parent, Marc is particularly interested in the integration of work, life and self through intentional practice and reflection that includes the body, the mind and the heart. Marc is the co-founder of Center for Self-Care (C4SC) which is dedicated to building communities through mindful exploration and connection. C4SC offers workshops, retreats and consultations with a special focus on men, middle age and the workplace. Marc enjoyed a fifteen year career as an investor and entrepreneur before transitioning to coaching and teaching mindfulness and social emotional learning, most recently at Woodlynde School and The Shipley School. Marc received his undergraduate degree from Haverford College in 1996 and earned an M.S. in Nonprofit Leadership from University of Pennsylvania in 2016.